Elevating a basic look is easy when undone hemlines are in the picture. 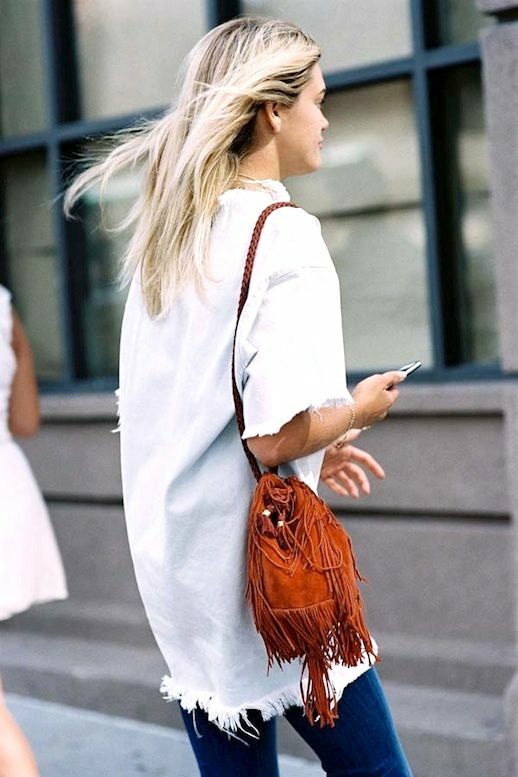 This otherwise simple outfit turns cool with a white frayed hem top, fringe suede bag and jeans. It's all about the details!